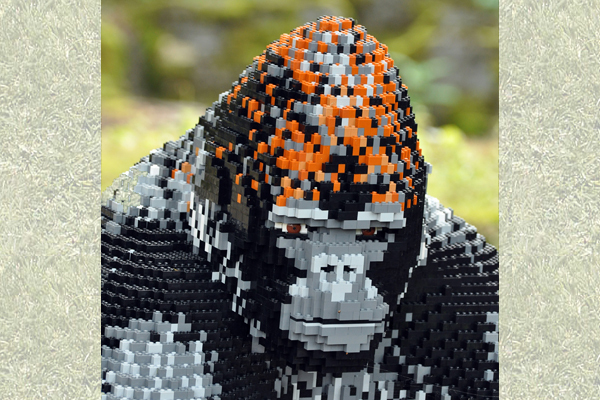 See how many life-size LEGO® bricks jungle animals you can spot, whilst learning about their habitat and diet. Make your own little animal, or have your photo taken in the LEGO bricks jeep. LEGO® bricksJungle Discovery is coming to the Garden this winter. Search out over thirty animals and plants in the Garden and both the temperate and tropical zones of the Glasshouse. There will be tons of information about each animal or plant including their habitats, the food they eat and all about the conservation efforts going on around them. Visitors can purchase and make their own mini LEGO bricks elephant to take away. As a fun souvenir, have your photo taken in the LEGO bricks jeep or as a LEGO bricks person. All details will be on the website.